India needs to overhaul land titles before they can be used to identify farmers for the delivery of subsidies. India spends 1% of its gross domestic product on supplying cheap fertilisers to farmers. But as the first part of this four-part series explained, only 35% of the subsidy actually reaches them. In June 2016, the government began to test an ambitious blueprint for reforming fertiliser subsidy delivery. 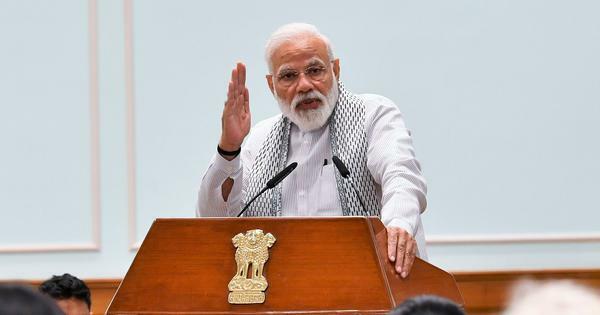 The reforms were based on the use of three databases – land ownership records, soil health cards and Aadhaar, the biometrically linked 12-digit unique identification number. But within months, the use of land records and soil health cards was abandoned. The second part of the series explains why land ownership records proved unreliable. In the month of June, as they wait for the rains to arrive, farmers in Krishna district on India’s eastern coast plant paddy saplings in their fields and line up outside fertiliser shops to buy subsidised urea. At this busy time of the year, in 2016, the central government began to test its blueprint for fertiliser subsidy reforms in the district. The aim of the reforms was to plug massive leakages in the delivery of subsidised fertilisers and ensure only farmers got them. For this, the government decided to use Aadhaar to identify the buyers, land records to confirm they were farmers and soil health cards to determine what quantity of fertiliser should be sold to them. Two districts in Andhra Pradesh – Krishna and West Godavari – were picked for the experiment for good reason. “Over 90% of the land records in the state are seeded [linked] with Aadhaar,” said Ahmed Babu, Managing Director of Andhra Fibernet, who was the district collector of Krishna in 2016. “We are also the top district in issuing soil health cards to the farmers.” The district had also successfully implemented cash transfers in the public distribution system using Aadhaar, claimed Babu. 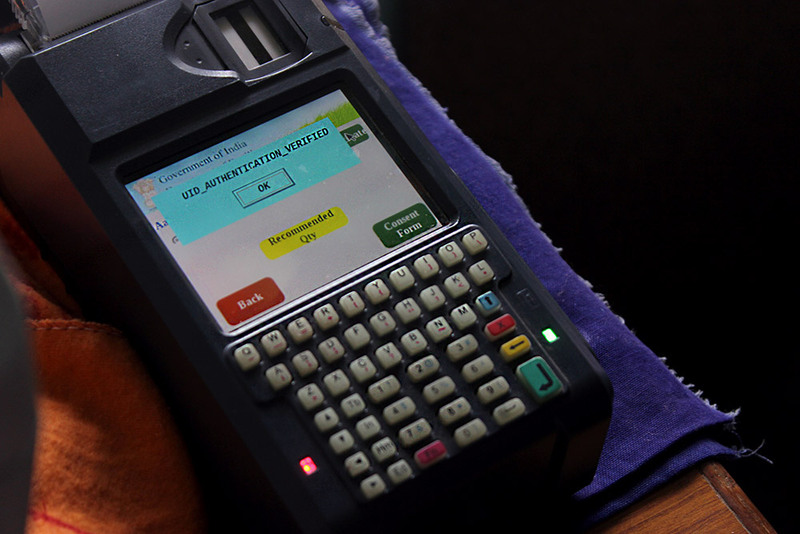 For the fertiliser reforms, the government supplied fertiliser retailers with point of sale machines that were equipped with fingerprint scanners. The retailers scanned the fingerprints of customers to identify them using Aadhaar. The same machines then checked their land records and soil health cards which had been digitised and linked with the 12-digit identification number. But when farmers came to buy fertilisers in the retail shops, the machines gave trouble. For one, the land details of some farmers did not show up. “The machines took a lot of time to fetch the details and in some cases they did not show any records,” said Madan Mohan Reddy, who runs a fertiliser shop in G Konduru village. 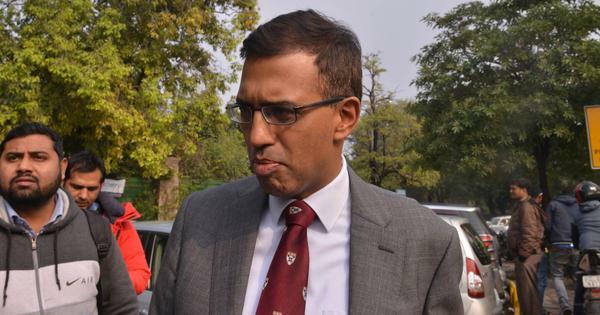 But even when the land records showed up, they were not always accurate, said Reddy. The machines initially recommended quantity of fertilisers to be used in each field on the basis of land records and soil health card data of each farmer but the idea was later dropped. Photo by Kumar Sambhav. The government’s fertiliser subsidy reforms rested heavily on digitised land ownership records. 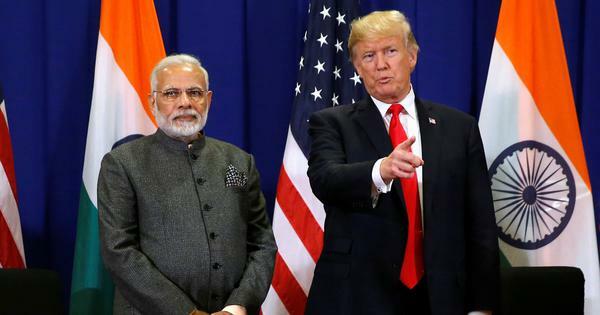 On the surface, India seems to have made rapid progress on this front. 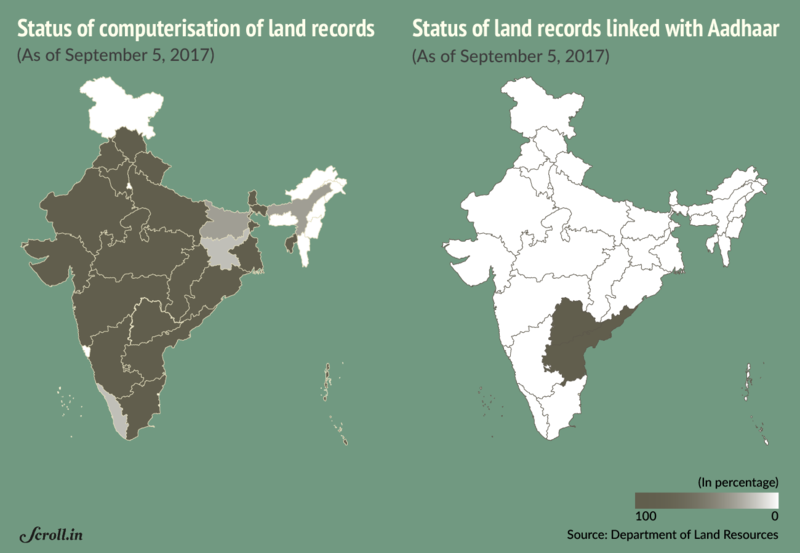 Nineteen states and Union territories have computerised more than 90% of the land records available at the district level. Most other states have computerised half or more, though four states in the North East have not begun the process at all. But the quality of the digitised records is uneven. In most states, the task was assigned to data entry operators who have little knowledge of the complexities and nuances of revenue records. “Data entry by persons not knowledgeable about land records leads to an enormous amount of mistakes,” said Deepak Sanan, a retired Indian Administrative Service officer who worked on the project of digitisation of land records in Himachal Pradesh while in service. He said correcting the mistakes by data entry operators can take a long time. The most time-consuming step, however, was the verification and certification of the data. Without this, he said, “the data is not really useable”. In Maharashtra, where digitised land records are still being verified, the rate of errors has varied between 5% to 50% in each village, said S Chokalingam, the Settlement Commissioner and Director of Land Records in the state. The process of verification is painstaking. 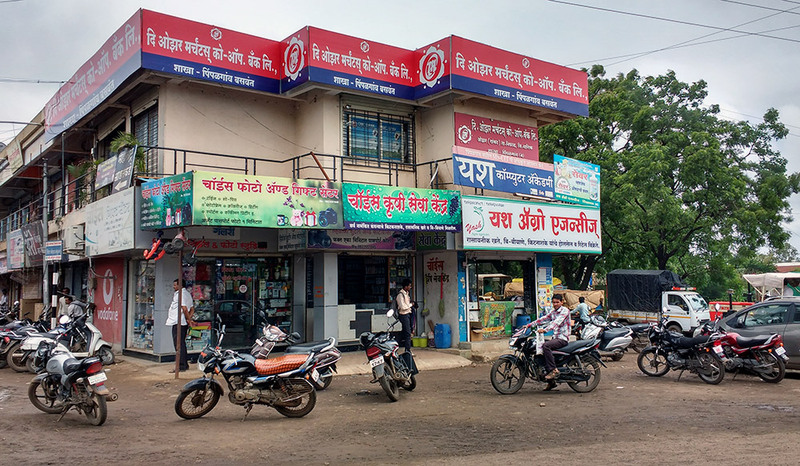 In Bhavali Khurd, a village ten kilometres from Igatpuri in Nashik district, for instance, revenue officers held a meeting, known in Marathi as a chavdi vachan, where landholders had to come to a central point to verify their newly computerised land records. 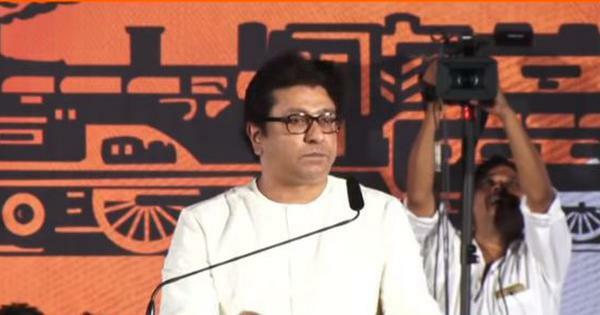 In Maharashtra, land records are referred to as saat baarah or 7/12. But the challenge did not end at digitising and verifying land records. The government wanted to use them in conjunction with soil health cards, which carry information on the chemical composition and nutrient conditions of the farmer’s land. To link the two databases – land records and soil health card – the government needed one common data field. This could have been the land record number, said Chokalingam. But the government chose to go with Aadhaar. Only two states – Andhra Pradesh and Telangana – have made substantial progress, linking 95% of their land records with Aadhaar. All other states are yet to make a serious start. Jharkhand, which is ranked next, has linked just 1.87% of its land records to Aadhaar. Delivering fertiliser subsidies directly to farmers using Aadhaar is more risky than other direct benefit transfers, said Chokalingam. 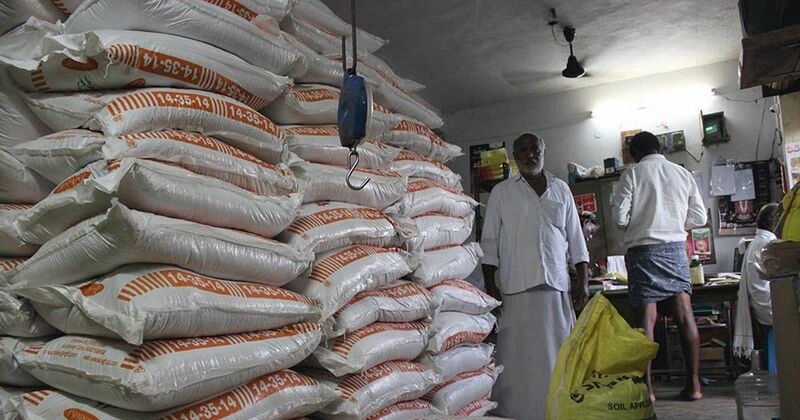 An incorrect Aadhaar number linked to foodgrain subsidies might lead to losses of a few thousand rupees but an incorrect Aadhaar number linked to fertiliser subsidies could mean far bigger losses for the landholder, he said. As it is, revenue officers have a tough time verifying land records on the ground – only 20% of landholders come for the meetings, said Chokalingam. To link the land records to Aadhaar, revenue officers will have to meet every individual landholder. The government will need to equip them with biometric machines and train them in their use, he added. Faced with these problems, the government dropped the use of digitised and Aadhaar-linked land records in the fertiliser subsidy pilot projects. But using land records in any form for identifying farmers even in near future will face a fundamental problem: the mess in India’s ownership titles. Unlike other countries where farmers hold conclusive land titles, India has a system of presumptive ownership. 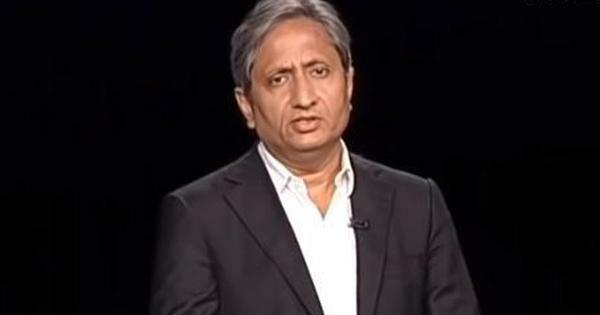 “Title is presumptive in the sense that the person in possession and paying the tax for the land or property to the revenue authorities is the presumed owner,” explained a research paper co-authored by K P Krishnan, who served as an additional secretary in the rural department ministry and supervised the central government’s land record reforms. While presumptive ownership allows the government to raise revenues, “the onus is on the property owner to establish her indefeasible title if there is a question regarding ownership”. This leads to a high rate of land disputes in India. “Land related disputes account for about 60% to 70% of all civil litigations while a McKinsey study suggests that as much as 90% of land parcels in India are subject to legal disputes over ownership,” the research paper notes. While the government is able to navigate this mess for the purpose of collecting land revenue, any attempt to accurately identify the real owner of a farm for subsidy delivery will require greater precision. A government survey in 2013 found that 13.7% of land holdings in rural India was held by tenants, but independent studies estimate tenancy in oral and hidden contracts is as high as 35%-40%. Since the fertiliser subsidy reforms were based on verifying the buyer’s farming credentials through land records, tenant farmers could have ended up without access to the subsidies. To avoid this, the government created a special provision that allows biometric authentication for those who do not own land. But this opens the window to pilferage since sales can now be made against any Aadhaar number, regardless of whether the buyer is a farmer. 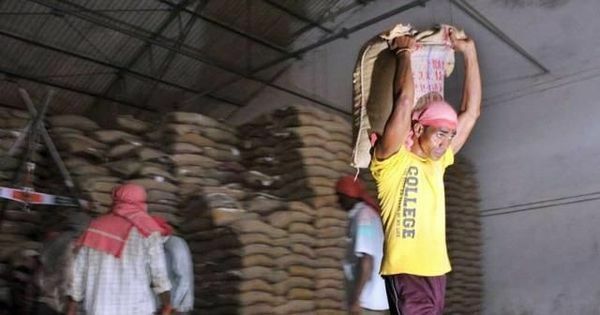 Unless the historical mess in land titles in India is sorted out, it will be impossible for the government to accurately identify farmers and deliver fertiliser subsidies directly to them. Not just land records, even soil health cards failed to work in the fertiliser subsidy pilot projects. The third part of the series explains why.